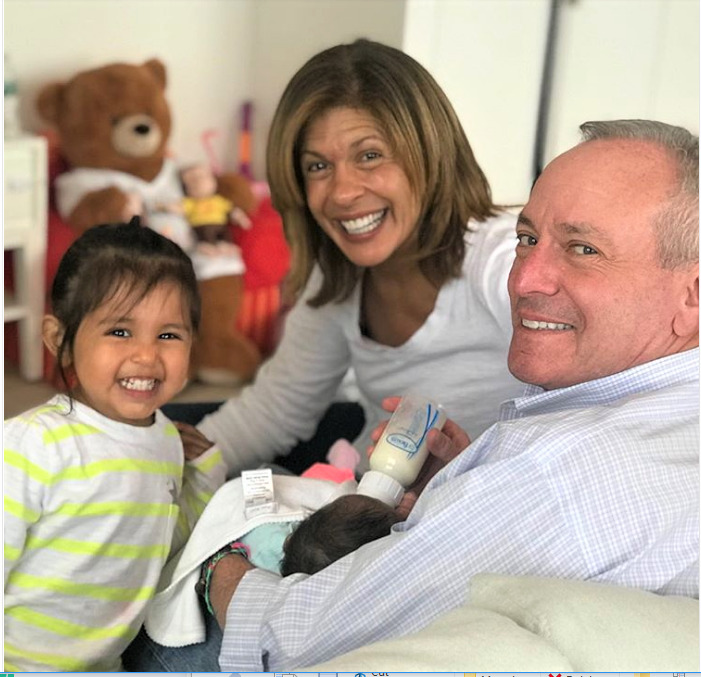 ‘Today’ show co-anchor Hoda Kotb brought a flood of smiles and tears to the show set last week, calling in live with news that she and partner Wall Street financier Joel Schiffman have welcomed a second child named Hope Catherine Kotb. Today Hoda shared an Easter picture of the family at hope with Hope’s big sister , 2-year-old Haley Joy. Last Monday Hoda shared an Instagram snap of a gorgeous sky filled with clouds and the message ‘CHOOSE HOPE’. The couple has dated since 2013 and searched for an apartment together in 2016. Schiffman already has a grown daughter, and Hoda tells the story of broaching the subject of adopting a child with him. A 2007 breast cancer survivor, Hoda was left infertile by the chemotherapy. "I was afraid to even say it out loud, because then it felt so real," she recalled to People. After she revealed that she'd like to adopt a baby with him, "I said, 'Think about it for a day or a week or whatever.'" His response left her floored—and confident she'd found the perfect partner. "He said, 'I don't need a day. Let's get this journey going,'" she said. "At that point I blubbered like a baby. It was like the dam burst." MAC has donated $500 million to organizations that help people living with HIV and AIDS — all because MAC lovers bought VivaGlam lipstick. They include God’s Love We Deliver, Lifelong AIDS Alliance, Open Hand/Atlanta, Inc, and more. Winnie channeled Ru Paul’s iconic ads last Halloween — and we call her one enterprising model woman!